This feel-good film will leave you with good memories, especially that of reading a bed-time story in your childhood. Watch it for the original sequences the film gives you, top-lined by some exceptional performances. Director Vijay has proven his mettle in almost all genres of scripts. He has done a mass hero flick, a breezy romance, a thriller, an emotional saga and a comic entertainer. 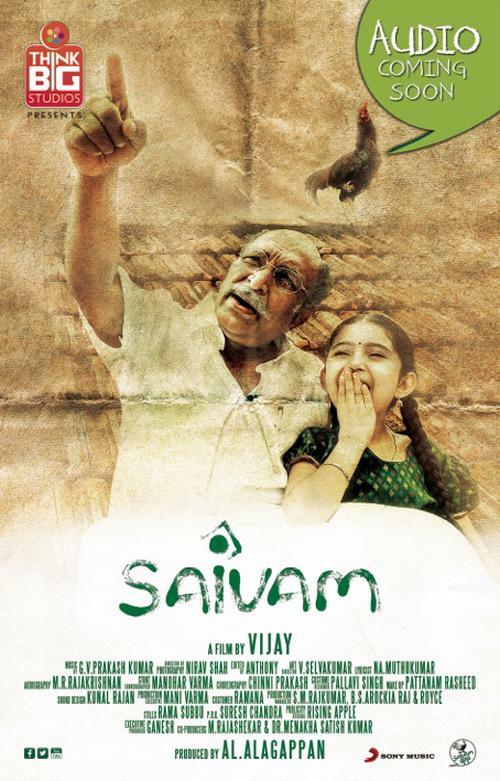 In his latest film 'Saivam' which is also his father A.L.Azhagappan's production venture the director has gone back to our traditional roots and tried to highlight the beauty and importance of family relationships. He has also spoken about mananimal relationship and tried to convey a message favoring vegetarianism and concern for animal welfare. So how he has presented these thoughts as a cinema?